Arriving into Rio de Janeiro was as hoped – bright blue sky, sunshine and 30 degree heat – not ideal after a long haul flight, but I was happy to be in Brazil. After a quick rest in the hotel, Copacabana Beach was calling. Streams of runners, cyclists and rollerbladers passed on the famous mosaic walkway, while the beach was filling up with sunbathers and volleyball players. 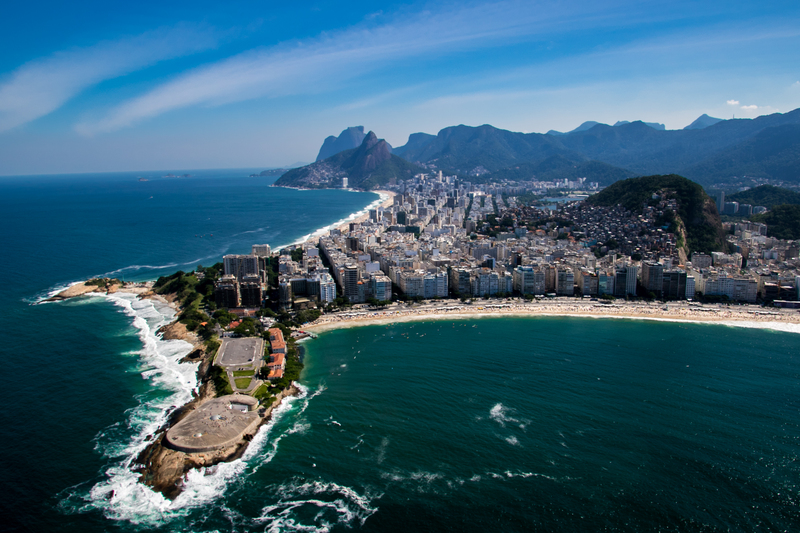 Rio is not just beaches however, with the high rise city of shops, hotels, apartments and restaurants surrounded by lush vegetation and the overlooking favelas. Favela Santa Marta, the scene of Michael Jackson’s music video ‘They Don’t Care About Us’ and as a location for ‘Fast Five’, part of the Fast and the Furious franchise, brought a sense of reality of the poverty in the city. The favela can be visited on a tour lasting a few hours with a local English-speaking guide. A fairly bumpy cable car ride with the locals takes you to the top of the favela for some excellent views. Mid-morning and there is barely a soul, although those we do meet greet with a smile. The atmosphere is laid back and friendly, with music coming from some of the homes and the occasional dog barking. An understated police patrol in the distance reminds of the once dangerous nature of the favela, one of the first to be pacified. 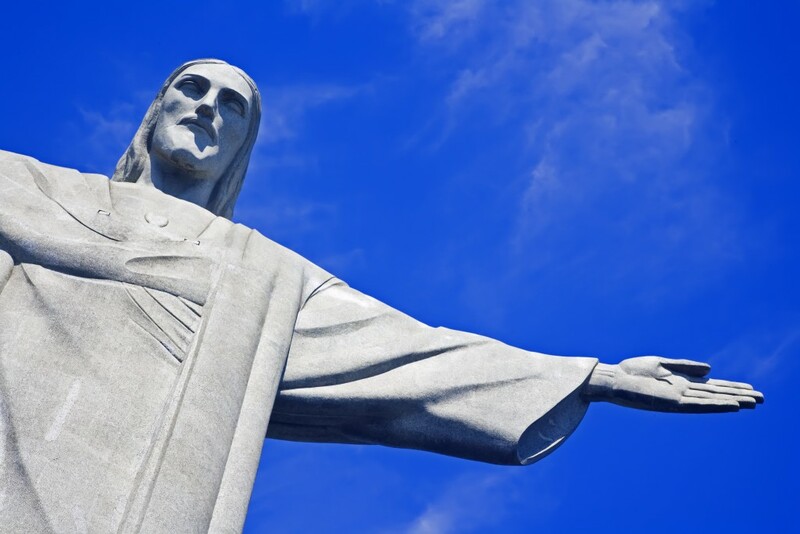 More tourist-centred, is the Christ the Redeemer and Sugar Loaf day tour. An early pick up meant little traffic and a chance to beat the crowds up to the iconic Christ the Redeemer. The crowds were beaten, but the clouds weren’t and we were left with a view up to Christ’s torso and that was about that. Similarly, the panoramic views atop Corcovado Mountain were non-existent, so a bit of a let-down, but one which couldn’t be helped. Our guide was very apologetic whilst trying to boost morale! So, if you must see Christ the Redeemer up close and in bright sunshine, maybe keep a day or two free in Rio. Sugar Loaf Mountain provided a clearer outlook after an impressive cable car journey via Morro da Urca. Adding to the tour were visits to the Metropolitan Cathedral, the famous colourful tiled steps of Escadaria Selaron before passing by the Maracanã stadium as well as the Sambodrome, the street of the annual Carnaval procession. A two hour flight from Rio takes you to Iguassu Falls. Foz do Iguaçu in Portuguese and Puerto Iguazú in Spanish, the falls offers towns with their own airport on either side of the Brazilian and Argentinean border making for an easy journey from one country to the next. Coming from Rio, try sitting on the left hand side of the plane, so seat A for amazing views of Rio Iguaçu, where you can see the spray rising from the falls surrounded by lush jungle, a stunning view from a commercial flight. 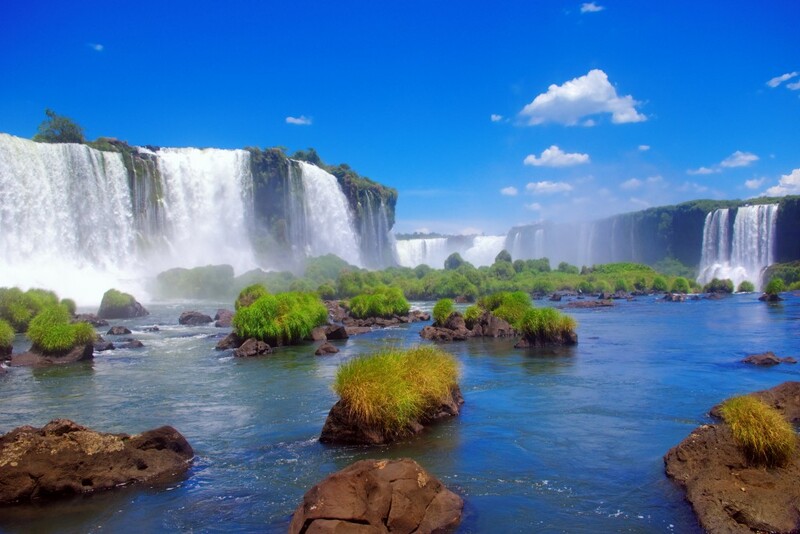 Two nights in Iguassu is enough to see both sides of the falls: Brazil for the panoramic views and Argentina for its exploration. Having seen many a photo of the waterfalls, it really has to be experienced to truly appreciate the magnitude and beauty. The sounds are incredible, while you can take the option of a boat ride, taking you up close and underneath the waterfalls to feel its sheer power – obviously, you get pretty wet! The boardwalks are extremely manageable, just be aware of the lack of shade in areas, and the spray which will can leave you wet through, so a poncho and certainly a dry bag for your valuables is recommended. From the Argentinean airport in Puerto Iguazú, a two hour flight brings you to Buenos Aires. So-called the ‘Paris of South America’ and rightly so. The architecture and general feel in Buenos Aires is very European. The city is split into different neighbourhoods, notably the fashionable Palermo with its bars and restaurants, the colourful La Boca and San Telmo, home of tango and the famous market every Sunday. The Recoleta Cemetery shouldn’t be missed, with its elaborate and intricate tombstones which won’t fail to impress. From Buenos Aires, you can also visit Colonia de Sacramento, the UNESCO town across the water in Uruguay. A leisurely walk around and a lunch overlooking the Rio de la Plata allow for a relaxing day or half day away from the city of Buenos Aires. Colonia is beautiful and full of history, but don’t expect an action packed day out. Back in Buenos Aires, evenings can be spent eating spoon-cuttingly soft steak and low priced fine wine. 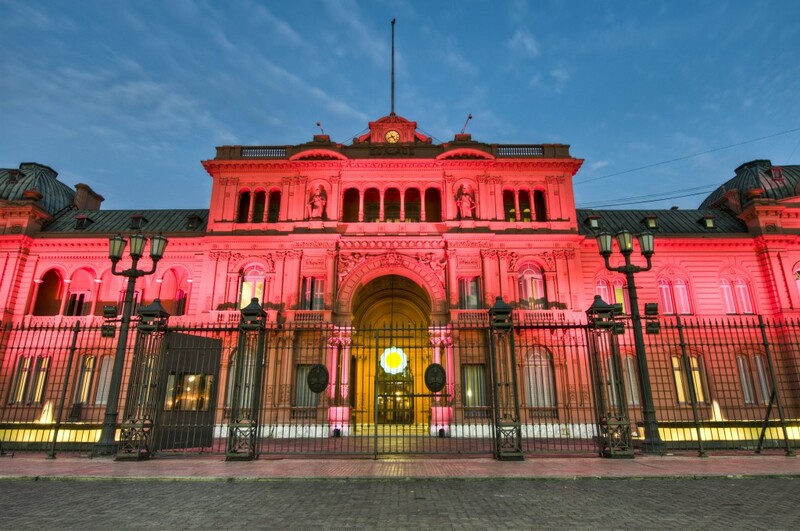 There is so much to explore in Buenos Aires with numerous bars and restaurants, plus those that can’t always be seen with the rise in prevalence of speakeasies. Culturally and historically rich, the city is certainly one I would like to revist and explore in more depth. Would you like to experience Rio and Buenos Aires yourself? We are delighted to make the perfect trip for you. Take a look here for more information and inspiration!